It is time. Time to finally get rid of that old rust bucket of a junked car. Each day such a vehicle rusts a little bit more and becomes more of a safety issue to young family and visitors. Don’t risk friends and family cutting themselves on its rusted old metal parts. 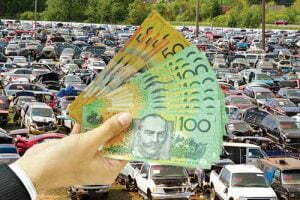 Now is the time with our cash for you junk cars service. Call today and get a great cash offer. 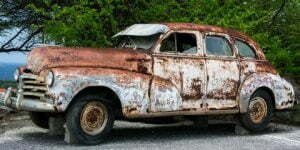 Sell your junk car to us and we remove it safely for free. Don’t have a junk car? We are interested in all vehicles including motorcycles, vans, buses and trucks. Have a combination of vehicles? We’ll take the lot! 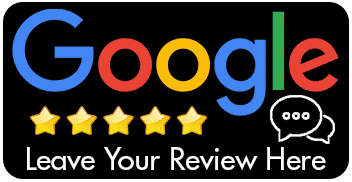 Not only will we do all the hard work in removing your junked vehicles, but we also pay you cash for you to transfer the ownership over to us. When junk cars become broken, unregistered and unusable their owners tend to dump and forget. We know that old junked cars and vehicles then become a nuisance and an eyesore. You may have been wondering what you could do with all that junk. Well here is the solution to your problems. Help us clean up Newcastle, Lake Macquarie, Maitland, Port Stephens, Cessnock, Hunter and beyond by requesting us to remove your old junk vehicles. Best of all – you can get paid for simply calling us! Consider this, these old vehicles can put money in your pocket. Get those unwanted, rusted out nuisances out of your life and get paid to do so. Give ABCM Car Removal a call and get a quote for removing the junk vehicle or vehicles that are taking up space on your property. Just make sure you have the legal documents needed to prove ownership. These documents are also needed to make sure you can legally get paid for giving these cars to ABCM Car Removal. There are times that you need to pay an unexpected bill. Maybe you may are between jobs, but the bills keep coming. Take a look around and look for what you can sell to get money. Is there an old vehicle in your garage or backyard that has been sitting there for years because you could not make up your mind what to do with it. Well, here is your solution. Give ABCM Car Removal a call and see how much you could get for your old car, motorcycle, van or truck. They will give you a quote for any of these junked vehicles. You will also be pleasantly surprised at the amount of money you can receive for that old vehicle. What do you have to lose? Just that old vehicle of course! Free some space up and get better use out of it. We are standing by waiting for you to pick up that phone and dial 0469 582 838. Get closer to what you need to remedy your financial situation and lose the worry of all of that metal that is sitting there taking up space. Who doesn’t want cash for junk cars? Surely you know someone that has junk cars sitting on their property. Imagine if you got that eyesore out of their way and provided them with money in the process. Now you can assist your friends and neighbors by helping them get rid of their junked vehicles. Be careful though. Some people may take offense to someone calling their old car junk. Best to use some soft words like beauty or gem. As long as you address the discussion constructively and let them know you are there to help them. Let them know about our company and how we pay cash for junk cars. This will give new meaning to “love thy neighbor”.